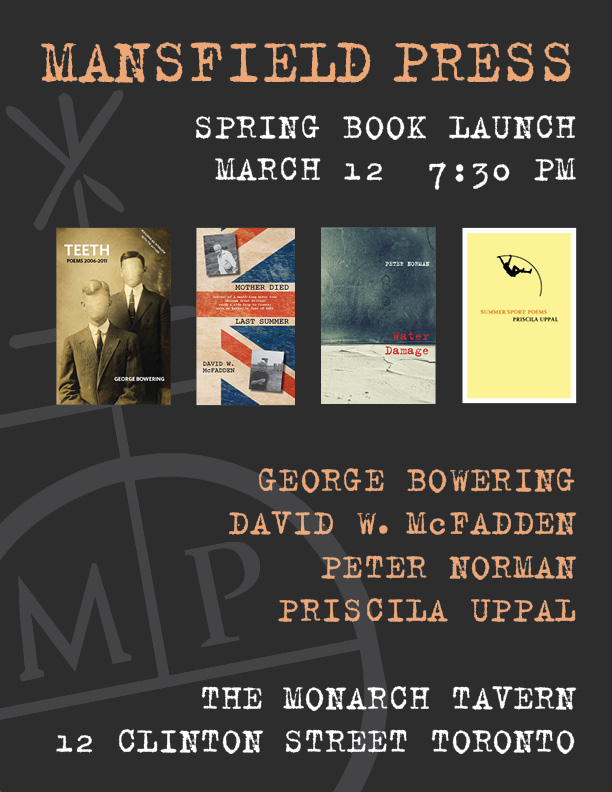 Bloggamooga: Mansfield Press spring 2013 launch — Tuesday, March 12, in Toronto! 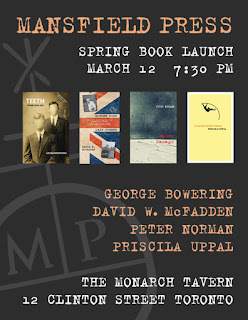 Mansfield Press spring 2013 launch — Tuesday, March 12, in Toronto! This Tuesday we launch the spring 2013 titles from Mansfield Press. Three new books under the "a stuart ross book" imprint — Teeth: Poems 2006–2011, by George Bowering; Mother Died Last Summer, by David W. McFadden; and Water Damage, by Peter Norman — as well as one book under the larger Mansfield umbrella, Summer Sport: Poems, by Priscila Uppal. Needless to say, I'm pretty excited. And ever grateful to Denis De Klerck for making me part of this great literary press, and to the authors who've entrusted us with their work.